Music from Oxford, England is unpredictable. There is Radiohead, Supergrass, Ride, or Jonquil. 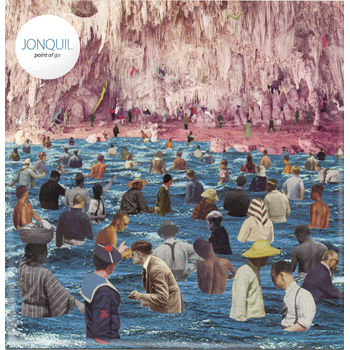 Not mope-y, dope-y, or slope-y, respectively, Jonquil takes its cues from Scottish one-hit wonders, Big Country. The foursome follows up its well-received, island-tinted pop EP, One Hundred Suns, with its third full-length, Point Of Go. While Point sets off maintain the bubbly tone established by Suns, it has a hard time keeping up the positive attitude. Starting strong with the powerhouse “Swells” and gamely carrying on the happy bives for another couple of tracks, by the time “Point of Go (Part 1)” kicks in, a melancholy note infects the hard-working jovial beats. The more difficult it becomes to stay upbeat, the higher vocalist Hugo Manuel’s pitch goes, recalling Big Country’s Stuart Adamson. “Point Of Go (Part 2)” heads in an entirely different direction than its lead-in, getting all peppy again. Alas, Jonquil are sad again quite soon with “This Innocent,” whose laments are so loud, Adamson can hear them clearly. The inclusion of horns helps bring the mood up on “Real Cold”; however, it’s downtrodden from here on out. Point Of Go is masquerading as a cheerful album, but that disguise is thinly veiled. Mild rearrangement of the track listing and Point Of Go can be the album it is supposed to be: hopeless and walling contentedly in its misery. 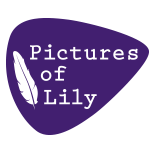 This entry was posted on February 21, 2012 by Lily Moayeri in Reviews and tagged dovecote, jonquil, lily moayeri, point of go, reviews, under the radar digital edition.